Pinging is similar type of job like Bookmarking. By Pinging we can spread our Website/Link/URL to so many Search Engines at a time. 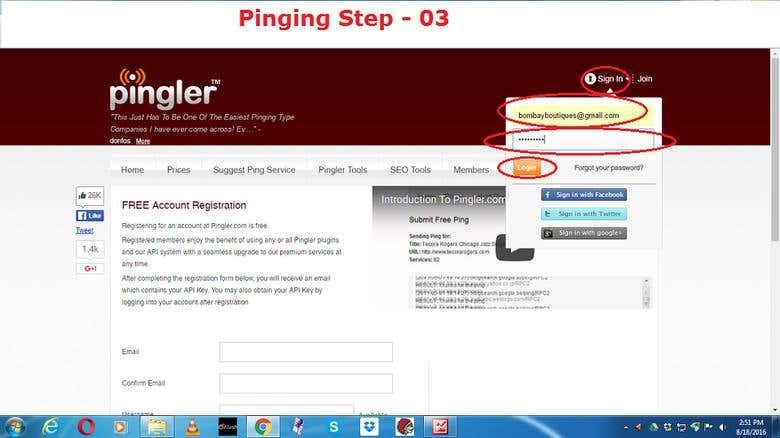 There are some web base services that are providing Pinging services are called Pinging sites. We can find so many Pinging sites from Google search. 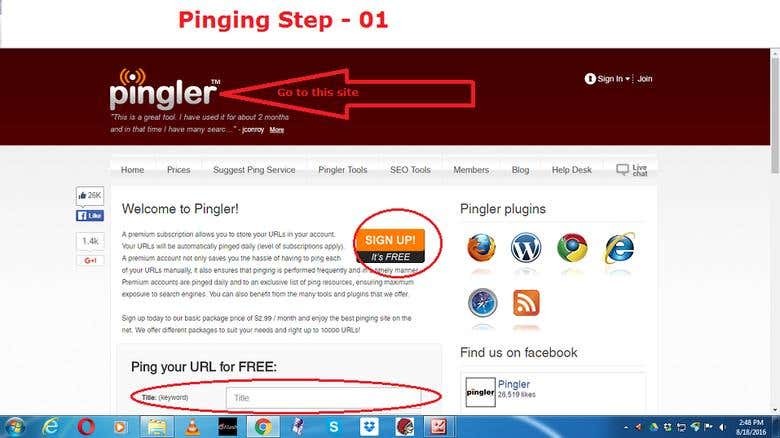 One of the popular Pinging site is (www.pingler.com). 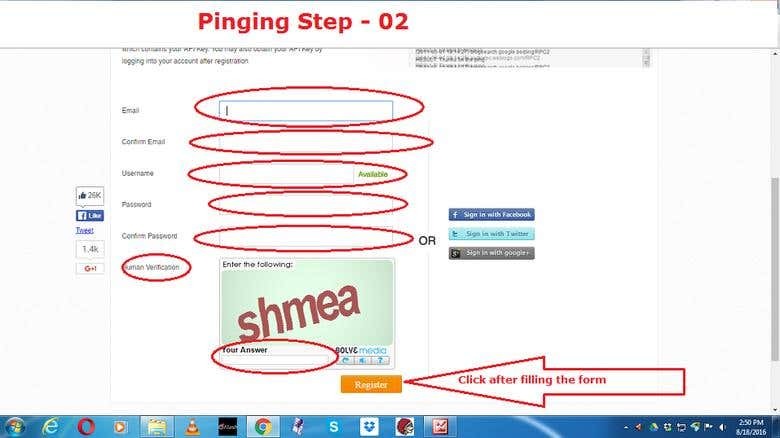 Have to Register and Login/Sign in to join at this site. Then have to follow all the steps accordingly. 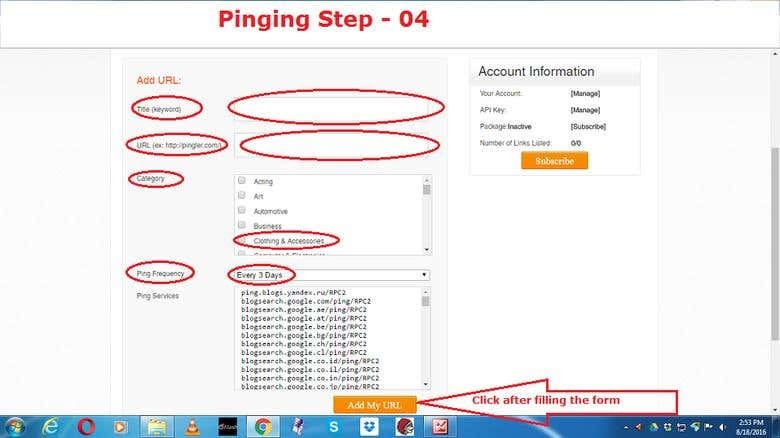 Pinging work is done not only for the main website also for all the webpages of that site. I know all the procedure of Pinging very well.